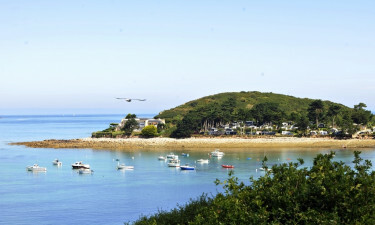 Camping Port l’Epine sits on the Breton coast overlooking the Atlantic. Occupying a small peninsula, the intimate holiday camping site offers a peaceful and personal setting. The surrounding has a vibrant cultural and natural landscape to explore. There are also lots of opportunities to enjoy water sports steps from your tent or mobile home. Located in Trélévern, Port l’Epine offers comfortable camping with panoramic views of the sea from your tent or mobile home. 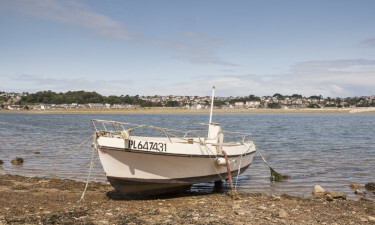 Brittany’s scenic forests, inviting fishing villages and beautiful seaside resorts create a vibrant destination to explore from this luxury camping destination. 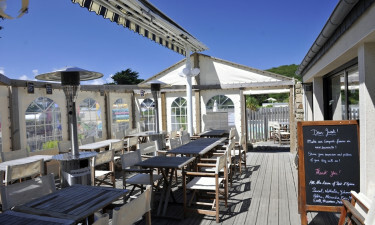 Why choose Camping Port l'Epine? This secluding campground is surrounded by water. Fresh croissants and sandwiches are available from the campground’s shop. A team of English-speaking staff also organise activities each day. The holiday camping site has free Wi-Fi and a convenient on-site laundrette. For an unforgettable at Port l’Epine, book your stay today with LuxCamp. On the north-side of this holiday camping site’s peninsula is a small sandy beach. 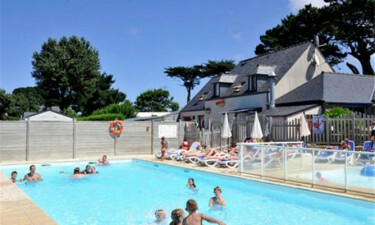 The luxury camping site is a great base for water-based activities and the beautiful outdoors of Côte d’Armore. From fishing to hiking, there is plenty to do in the area. You can kayak along the rugged coast, fish on open waters, or go on a boat trip to the nature reserve of Les Sept Îles. A swimming pool and paddling pool for younger guests are fantastic spots for campers of all ages to cool down. A restaurant with its own terrace is a beautiful space to relax. There are also trampolines and a children’s play area to keep little visitors entertained.